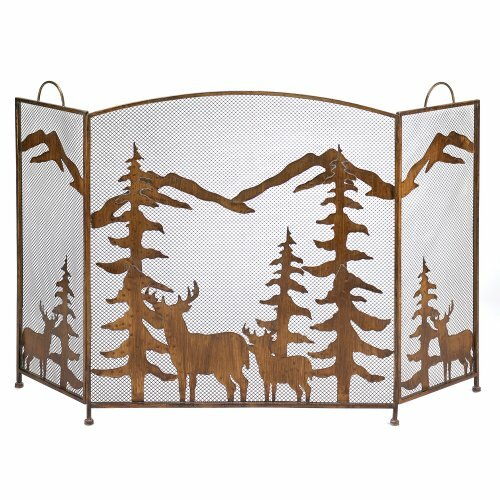 Metalwork fire screen showcases cutout silhouettes of deer, trees, and mountains. This screen looks amazing with a fire behind it! Weathered bronze finish adds an antique look. Folds in three parts with mesh screen. 54 x 0.5 x 32.5 inches tall. If you have any questions about this product by Distributed by coldcreekgifts, contact us by completing and submitting the form below. If you are looking for a specif part number, please include it with your message.